Last year I began to notice so many pretty garlands floating around in blogland. I fell in love and, time permiting, I would have one for each season/ holiday. But notice I said- TIME PERMITTING. So far I've only made an Easter banner. My fall mantel sure could have used a garland. SO, garlands are still on my must do list. 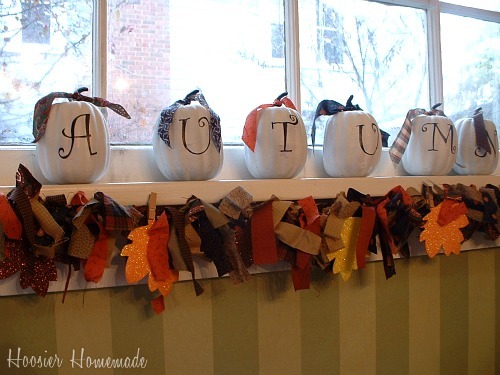 This one could be adapted to any season or theme, depending on the colors of fabrics you use. Thanks for stopping by! Feel free to share any other garland ideas you have!